There are nine bedrooms in the main house, as well as two guesthouses, a swimming pool, and tennis court. Sold! 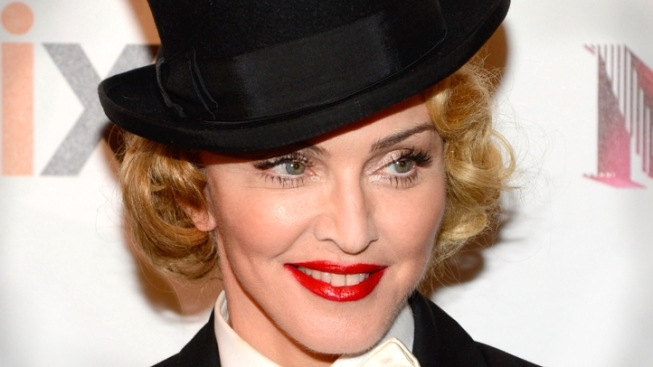 Madonna's Beverly Hills mansion, for $19.5 million, reports the LA Times. Madge lived in the home for almost ten years, and during that time, rebuilt and expanded the state, completing it in 2010. There is only one aerial view image of the property, and agents and clients who toured the home were the only ones who got a peek inside. The gated home sits on 1.25 acres of land, and is accessed by a 500-foot tree-lined driveway. There are nine bedrooms in the main house, as well as two guesthouses, a swimming pool, and tennis court. The home's dining room spans two stories, and the home boasts a gym, theater, art studio, bar, and 17,000 square feet of space. Madonna bought the home in 2003 for $12 million.